On 23 July a door-like circle appeared at Gurston Ashes near Fovant in Wiltshire. 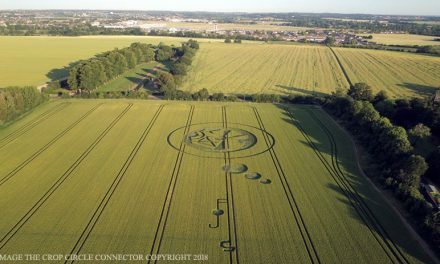 Word quickly spread that the formation was a tribute to the late Doug Bower, widely recognised as the artistic brain behind the crop circle phenomenon. Less than two months on, the plan of that circle has been posted on Facebook, killing the tribute (if that is indeed what it was). In August Dr Robert Irving delivered the eulogy at Bower’s funeral. It contained some interesting words that contemporary circle makers, often so quick to stake their authorship, should consider. A big word, genius; it would have made Doug laugh, then spit (figuratively of course). But, he accepted that the patterns [he and Dave Chorley] swirled bore similarity to prehistoric rock art, and were related to symbols from mystical alchemy, rune languages, mandalas, and sacred geometry, which perhaps came from somewhere deep within – inner space – and that their work could therefore be considered devotional art, and of the highest quality. Moreover, their activities revealed an important distinction with regard to art: that religious awe directed at individual genius is rendered irrelevant in light of the spiritual sensibility the work itself succeeds in evoking. The art lies in human response, in the circus that surrounds the work – less in what is made than in what is made of it. This only occurs in certain conditions. The key to a good mystery is to not finding answers, only more questions. Secrecy makes mystery. Mystery breeds imagination. Imagination begets art; then the formula folds into itself to create all manner of interesting possibilities. Taking something in your head and putting it out there in the real world can be a powerful thing. 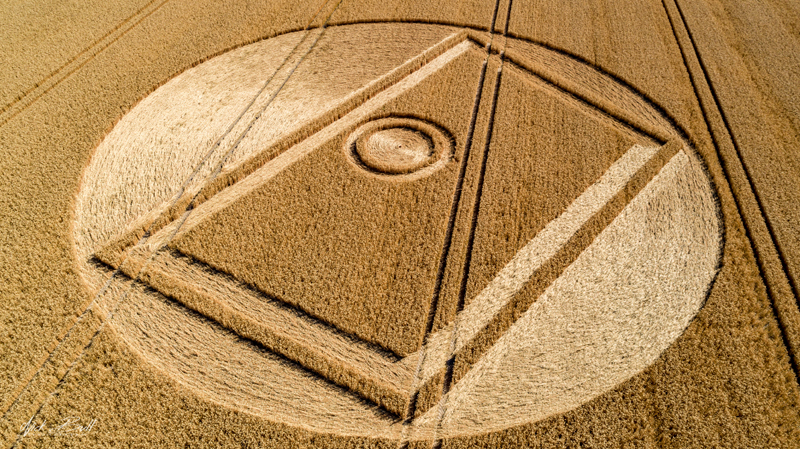 Doug regretted admitting having made crop circles. Not making them, but telling people about it. This was not his choice but Dave’s, and Doug recognised the power of mystery – of keeping schtum – against the temptation to shout “we made that”: ecce homo. That genie hasn’t been recaptured. Today, no matter how clever and intricate the circles have become – let’s face it, they’ve been circling the drain for the past decade or two – they rarely evoke the wonder of Doug’s simple imprint. That the circles should die with him: what better tribute to a man who invented an art form yet refused to see it in those terms, true to the last. 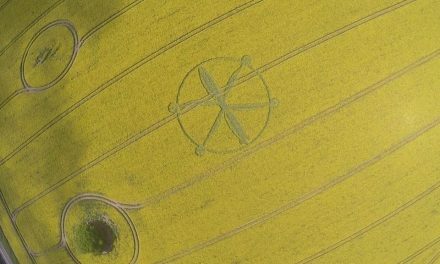 One day, when those who insist that crop circles are all about them, not us, have gone, the true phenomenon might return. Quietly, again, the spirit of Doug reasserting itself. Perhaps it will revert to relatively small, localised outbreaks, echoing a time when a man saw magic in communion with a mystical landscape and acted upon it. The irony here is that amongst those self-aggrandising circle makers are those who consider Doug Bower to be a significant inspiration. An idol of sorts. Yet these are the same people who truly believe the circles are ‘all about them’. What else was the point of that ‘door’ if not another opportunity to jump up and down shouting ‘I made this, I made this’? If it was meant to be a tribute then it was badly misguided. The Demonic Darkness of the Devil at Hackpen Hill and the Fiasco of the Anger Beyond ! !